With whom should I share my bread? My family? The poor? Strangers? Enemies? From where do we share our bread? So, let me ask you a question: What word would you use to describe Jesus’ feeding these five thousand people? Or what word would you use to describe Jesus healing people or raising Lazarus from the dead? …and a great crowd of people followed him because they saw the signs he had performed by healing the sick. So what’s the difference between a sign and a miracle? A miracle is what we call something when we think about it from the physical perspective. Something is “miraculous” because it doesn’t operate according to the laws of the physical world. And that is the most important question that is raised by Jesus’ sign of feeding the five thousand: Where is this bread coming from? How does the shift in thinking about Jesus feeding the 5,000 as a sign, and not a miracle, impact how you understand it? What does that change for you? This entry was posted in Uncategorized and tagged Jesus, Miracle, Sharing Your Bread, Sign, Whole Life Offering. Bookmark the permalink. 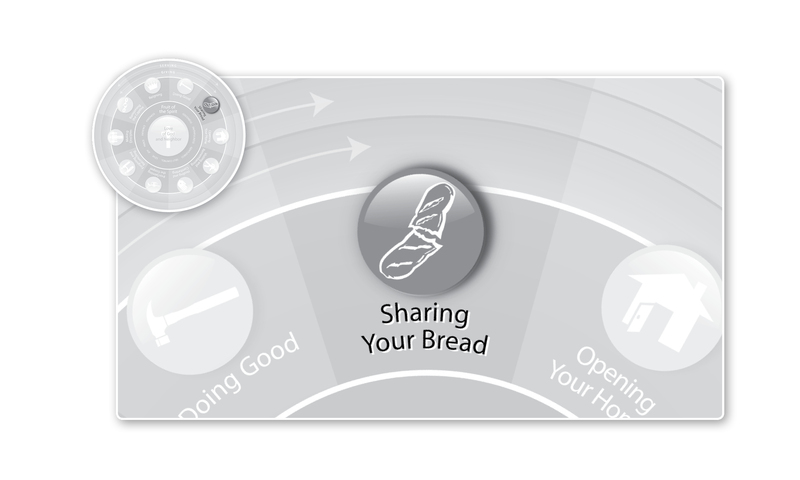 3 Responses to Sharing Your Bread: From Where?